Warm up for the State Fair Midway with zany carnival games inspired by some of the MIA's best-loved artworks! It's all part of Art Perchance, the summer fund-raiser thrown by the Friends of the Institute to raise money for some very worthy causes. 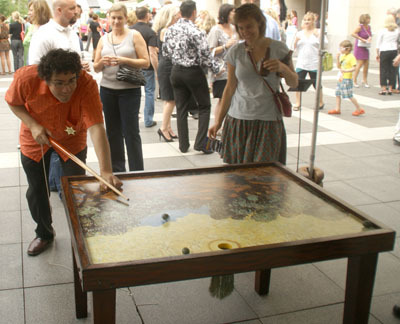 Play ten art-based carnival games; in true Third Thursday fashion, all games are free to play. Buy a $10 wristband, and each time you win a game you'll earn a chance to win great art donated for the event by outstanding local artists. Frolic to live music from Trailer Trash, enjoy cocktails at the cash bar, and have nonstop fun in the great outdoors of Target Park. Become an Art Perchance Patron! The Friends of the Institute provide financial support for major museum exhibitions, educational programming, buses for children to visit the MIA, and much more. Take the extra step and help the Friends continue their important work by becoming a patron of Art Perchance. 15 tokens for the art drawing, valet parking, 2 free drink tickets, and a CHANCE to attend the exclusive cocktail reception and tour with MIA Director & President Kaywin Feldman (at a later date). 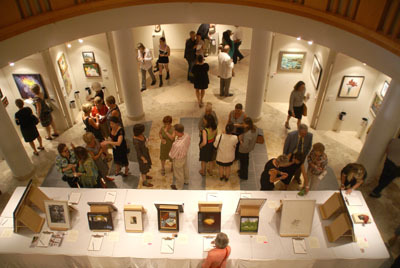 25 tokens for the art drawing, valet parking, 2 free drink tickets, and guaranteed admittance to an exclusive cocktail reception and tour with MIA Director & President Kaywin Feldman (at a later date). Reserve online or call (612) 870-6323.